The River City Givers recently presented Sheriff C.T. Woody, Jr with a donation for the non-profit REAL Life, a program designed to support the efforts of Sheriff Woody’s Recovering from Everyday Addictive Lifestyles (REAL) Program. 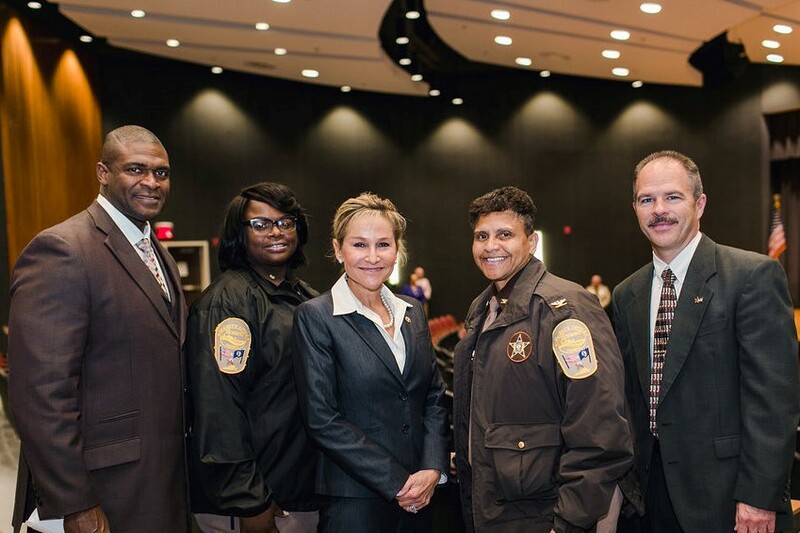 The check, in the amount of $5,300, was presented to the Sheriff, as well as Program Director, Dr. Sarah Scarbrough and the Internal Program staff, to bolster rehabilitation, recovery, and re-entry efforts post release. River City Givers is a local giving circle of women who support the greater Richmond community by contributing to local charities together, as a large group, to greatly increase the impact of their donations. To learn more about River City Givers or to apply to become a member, visit their website: http://www.rivercitygivers.com/.